The BBC, which is owned by the British government, recently hosted a talk from Oxford Professor Danny Dorling — a quintessentially elitist talk, but even worse than that: one which shows how completely out-of-touch with reality (economic reality, in particular) so many of these intellectuals are. Please note also that further on in the lecture (you can watch the video here) what Professor Danny Dorling classifies as “rich” includes even poor people in the United States. Why? 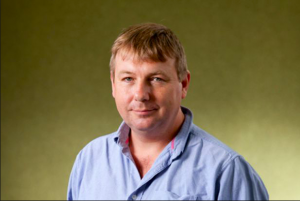 I’m Danny Dorling, I’m professor of Geography at University of Oxford, and in my very humble opinion one of the worst things about high economic inequality is it damages the environment. High economic inequality is extremely damaging to the environment, because the greedy do not know how to control themselves. Thomas Piketty, who is a brilliant economist from Paris, has done incredible detailed work recently, looking at the consumption and pollution patterns of the richest one percent, and he has shown that the richest one percent disproportionately contribute to greenhouse gasses and to carbon pollution which are damaging our planet. This is because they buy so many things they do not need, because money is not an issue for them. It’s because they have so many homes that they travel between, is because when they travel they don’t travel in a sustainable way. At the extreme they’re flying in private jets; there isn’t a better way to heat up the planet and damage our environment than to fly in a private jet and they need to learn the importance of this. Because climate change is the biggest threat that we’re facing, and we’re partly facing it because we’re allowing the greedy people to carry on being greedy, and we’re not controlling them for the good of everyone. Please reread that last paragraph — especially if you think I exaggerate the dangerousness and the full-blown Neo-Marxist egalitarian roots that are an inherent part of the environmentalist philosophy. Note also that Thomas Picketty’s postmodern and explicitly Marxist book has been thoroughly — and I’m mean thoroughly — rebutted and debunked. I want to point out also here that even if the world were to implement all of the proposed measures (proposed by Professor Dorling and all the others) to reduce carbon emissions — which measures, incidentally, almost never include carbon-free nuclear energy — it would not only NOT have any significant effect on global temperatures (“Don’t Tell Anyone, But We Just had Two Consecutive Years of Record-Breaking Global Cooling): it would devastate world economies to such an extent that even wealthy countries wouldn’t have the wealth by means of which we deal with societal issues. If low-impact is the ideal, I have a question for Professor Dorling and anyone else who thinks similarly: would you rather live in North Korea or South Korea? The correct answer, of course, is North Korea, which has a much lower impact upon the environment — by far, in fact — and which exists in grinding poverty, misery, repression, authoritarian control, death. If low-impact is the ideal, none of the world’s great cities would ever have been built or allowed: from New York City to Hong Kong to Shanghai to London, Tokyo, Chicago, Philadelphia, Las Vegas, Los Angles, and everything in between — gone. Reader, at the very, very minimum, please understand this: without industrialization, the division-of-labor and the transmission of knowledge are instantly obliterated, and that means, among innumerable other things, all the benefits of the division-of-labor and the transmission of knowledge — from phones, computers, tablets, modern medicine, planes, trains, automobiles, running water, reliable clean water, heat and air-conditioning, supermarkets, highways, radios and movies and televisions, buildings, bridges, electricity, as all other forms of energy, and a billion other things besides — are all gone. Because industrialization which singlehandedly created the division-of-labor which facilitates the transmission of knowledge is alone responsible for this. Please remember: if it has to be subsidized, it’s not sustainable. The solution is to get all subsidies out of all energy — as with everything else — and simply leave people alone. Let supply be determined by consumer demand. The Commission estimates the average cost of a new single-family home will increase by $9,500 but that utility bills will decline by roughly twice as much over the period of a 30-year mortgage. Why not let consumers decide whether the projected future savings justify the immediate up-front costs? Because here people can do whatever they want, as long as it’s mandatory. Median home values in California have been climbing since 1940, now approach $500,000, and are more than twice the median value nationwide, according to economist Issi Romen of BuildZoom. When factoring in the cost of living, California has the nation’s highest effective poverty rate. Skyrocketing housing costs are chiefly responsible, contends Chris Hoene, executive director of the left-leaning California Budget Policy Center. “Every year, the state falls roughly 100,000 units short of what it needs to keep up with housing demand,” Patrick Sisson writes in Curbed.com. Sisson cites a 2016 McKinsey Global Institute study, which found that California real estate prices are rising three times faster than household incomes and that more than half the state’s households cannot afford the cost of housing. Kelly Knutsen of the trade group California Solar & Storage Association assured the Times that the new mandate would produce “a significant increase in the solar market in California.” He said it would also send “a national message that … we are a leader in the clean energy economy.” Permit me to translate: what’s good for the solar industry is good for the country.